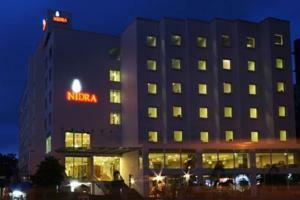 In the heart of Vadodara City, Nidra Hotel is a short 5-minute walk from Seven Seas Mall. Offering modern rooms with free Wi-Fi, it has a gym and a restaurant. Featuring hardwood floors, air conditioned rooms come with a flat-screen TV and a private bathroom. In addition to a minibar, tea/coffee making facilities and a personal safe are included. DVD players and ironing facilities are available upon request. 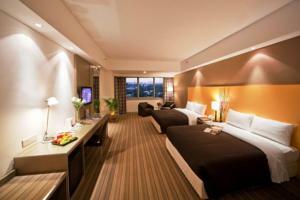 Nidra Hotel Vadodara is a 15-minute drive from Vadodara Airport and about one mile from Vadodara Train Station. Rasa serves a variety of local and international dishes. It offers a varied dining menu alongside buffet spreads for breakfast and dinner. In-room dining is possible. Guests may make travel arrangements at the tour desk. The 24-hour front desk offers laundry and baggage storage services. Free! All children under 12 years stay free of charge when using existing beds. One older child or adult is charged INR 530 per person per night in an extra bed. The maximum number of extra beds in a room is 1. There is baby beds in a room is 0 capacity for cots in the room. Any type of extra bed or crib is upon request and needs to be confirmed by management. Supplements are not calculated automatically in the total costs and will have to be paid for separately when checking out.